Samara State Aerospace University (SSAU), Russian Federation, will launch an English-language program in GNSS studies this fall, headed by Kai Borre, founder of the Danish GPS Center (DGC) and long-time professor of geodesy at Aalborg University. Beginning in September, the SSAU will offer two master programs in GNSS under the Borre’s supervision: “GNSS Positioning Algorithms and Applications” and “GNSS Receivers: Hardware and Software.” The two programs are structured so as to enable students to become professional in GNSS technologies, including both design of efficient GNSS receivers and application of the data obtained by these receivers. Both curricula are based on the program that was tested successfully during more than 12 years at DGC, augmented with several courses supporting modern aspects of GNSS. A description of the enrollment procedure for the two programs can be found online at <http://www.ssau.ru/english>. Interested individuals may also contact the International Department of SSAU directly via e-mail at <intdep@ssau.ru>. The enrollment procedure includes an application to the Russian embassy/consulate for a visa, which may take some time; so, prospective applicants are encouraged to start their preparations as soon as possible. The admission campaign to SSAU opens on June 20, and the deadline is August 10. Borre has conducted research and lectured on satellite-based positioning for more than 30 years. In the early 1990s, he published a Matlab-based code for processing of GPS observations and later added an explanatory text for the code. Many practitioners in the GNSS field are familiar with Matlab, a high-level technical computing language and interactive environment for algorithm development, data visualization, data analysis, and numeric computation. Borre used Matlab to illustrate and explain a variety of common GPS issues. 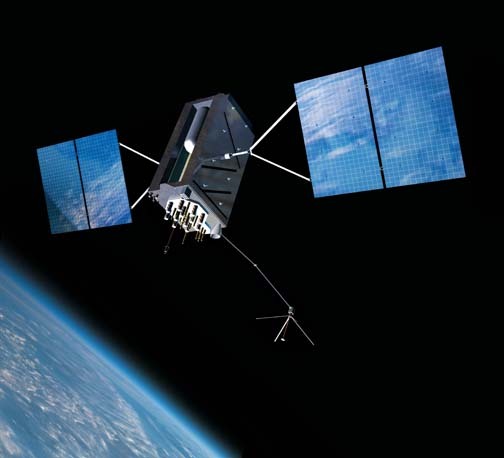 In 2009, Inside GNSS began a two-year occasional series by Borre called "GPS Easy Suite II: A Matlab Companion” and packaged all six articles in the series in a downloadable PDF. Plans for the Samara GNSS activity began in May 2013 when Ilya Kudryavtsev, dean of the SSAU Radio Engineering Faculty, contacted the DGC regarding its master GNSS program and was particularly impressed with the comprehensive Matlab code supporting all courses. Last November, Borre and Darius Plausinaitis, a former DGC research engineer and Aalborg University staff member, lectured at Samara for one week on GNSS and software defined receivers. At that occasion the Kudryavtsev and Borre discussed the possibility of using the software defined radio concept to create a new-generaton receiver. The second result of the meeting was the decision to start the two GNSS master programs at SSAU. Situated in the southeastern part of European Russia at the confluence of the Volga and Samara rivers, Samara has a population of 1.2 million inhabitants and is an important center for the machine industry, production of aircraft, aircraft engines, and space research equipment. SSAU was founded in 1942 as Kuibyshev Aviation Institute to prepare engineers for the Soviet aircraft industry. In 1966 the Institute was named after academician Sergey P. Korolyev and in 1992 renamed Samara State Aerospace University.